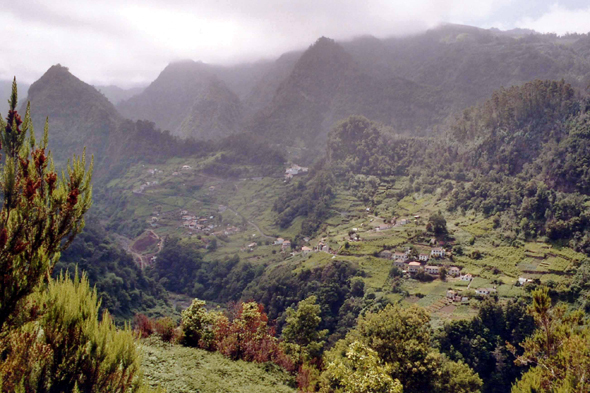 Landscape near Faial. The Maderanses, Sunday or a day off, adore to leave to the mountain and to make a barbecue in the pine groves and the forests of eucalyptus. They always bring with them a little cooking salt, some cloves of garlic and olive oil.